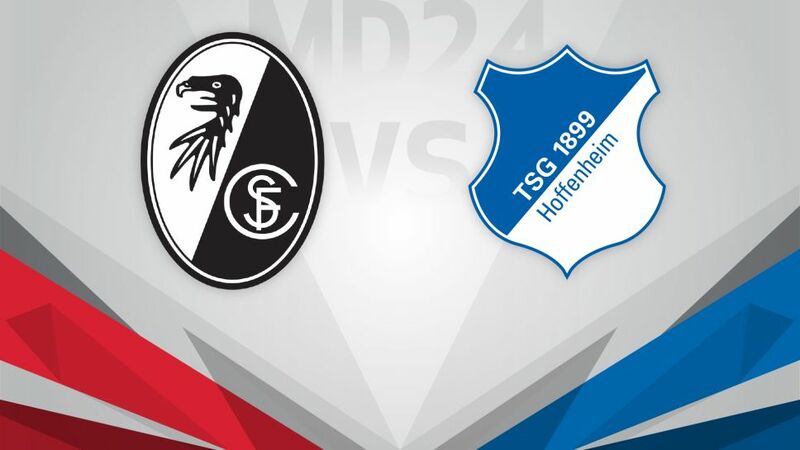 TSG 1899 Hoffenheim have reason to be wary as they continue their unexpected push for a top-four finish at SC Freiburg on Saturday (kick-off 15:30CET/14:30GMT). Click here to make sure your Official Fantasy Bundesliga team is in order for Matchday 24! If Julian Nagelsmann's men have a four-point cushion over Hertha Berlin in the race for UEFA Champions League qualification, they can thank their Matchday 24 opponents. Freiburg beat Hertha in January and Eintracht Frankfurt last weekend to boost their own hopes of European football next season. Hoffenheim have enjoyed the Rückrunde so far, winning four and losing just two of their seven matches since the winter break. They will need to maintain that form for this fixture as they have not won at the Schwarzwald-Stadion since their maiden top-flight visit in 2009.